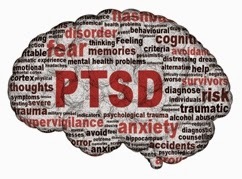 The article is "Preliminary Evidence of the Short Allele of the Serotonin Transporter Gene Predicting Poor Response to Cognitive Behavior Therapy in Posttraumatic Stress Disorder" by Richard A. Bryant, Kim L. Felmingham, Erin M. Falconer, Laarnie Pe Benito, Carol Dobson-Stone, Kerrie D. Pierce, and Peter R. Schofield. Bryant, Felmingham, Falconer, and Pe Benito are affiliated with the Brain Dynamics Centre, Westmead Millennium Institute, Westmead Hospital, Westmead, Australia. Bryant, Felmingham, and Falconer are also from the School of Psychology, University of New South Wales, Sydney, Australia. Dobson-Stone, Pierce, and Schofield are with the Prince of Wales Medical Research Institute, Randwick, Australia. Dobson-Stone and Schofield are also affiliated with the School of Medical Science, University of New South Wales, Sydney, Australia. The article appears in Biological Psychiatry, Volume 67, Issue 12 (June 15, 2010), published by Elsevier. The authors' disclosures of financial and conflicts of interests are available in the article.